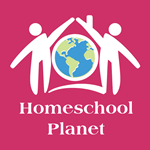 A comprehensive and growing list of online courses and homeschooling curriculum to help you in your homeschooling journey. Why do we teach children basic education skills but neglect teaching	them how to overcome the effects of serious injustices? Learning to forgive protects your children from the unfairness of others; a protection they will use now and in adulthood. Forgiveness education focuses on inherent worth, moral love, kindness, respect and generosity. Literature-based learning: Dr. Seuss, CS Lewis, etc. 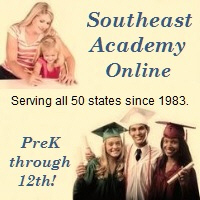 Nationwide PreK-12th accredited private school for over 30 years with a Christian worldview and traditional values. 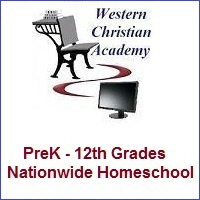 WCA specializes in new-to-homeschool families. Year-round enrollment. Structured to free up parents’ time to focus on encouragement. Booklet-based for PreK-2nd. Four booklet or online options for 3rd-8th. High school program designed for success with teacher on call. 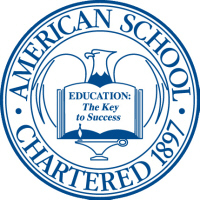 Dual accredited Christian school serving 50 states since 1983. Mid-year enrollment. Paper-based PreK-2nd. Online 3rd-8th with two options for teacher support. Online high school with elite support designed for success. Placement tool to fill gaps that hinder current ability. In-home achievement test included to meet some states’ requirements. 3rd-12th has a built-in daily planner linking to each assignment. Parents do not need to score 3rd-12th grade work, so reduces parent time. Northgate Academy offers an accredited, online Christian curriculum for homeschool families looking for a comprehensive high school program taught by caring and nurturing; State certified instructors. Northgate Academy helps to develop students’ character and passion for learning. A high school diploma from Northgate Academy helps to ensure success for College and beyond. NFC Academy combines over 40 years of experience in Christian education with technology, offering a complete program of virtual Christian education, lesson plans, instant grading, and experienced, certified teachers working with home school families. FreedomProject Academy is a fully accredited, live online Classical school that is Faithfully Educating America. FPA is grounded in the Judeo-Christian belief system, offering more than 100 live classes for students in Kindergarten-High School. 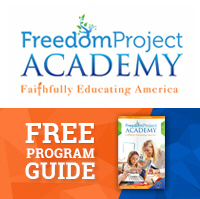 FreedomProject Academy can help with one class or a complete curriculum. Request your FREE Program Guide here. Enlightium Christian Academy is a highly recommended program for parents interested in an accredited Online Private School for grades 3 through 12. The tuition starts at $75/month and is customized to meet your budget and requirements. Learn more today! You don’t need to know a foreign language to start your child on the course to bilingualism! 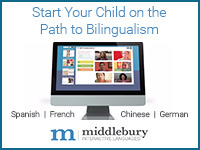 Middlebury Interactive’s immersive K-12 world language courses in Spanish, French, Chinese and German guide students in a supportive, online environment. Courses can be taken as self-paced, independent study or with the guidance of a certified virtual teacher to meet the needs of all homeschool families. 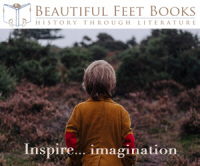 We believe great literature has the power to unlock history and make it come alive for students. Thus we are dedicated to offering parents history programs with the best literature available, study guides to make each program easy to use, and the guarantee that your history studies will come alive. For the past 30 years our award-winning history programs have helped thousands of children develop a love of learning by teaching history through literature. Are you a work at home – homeschool mom? Then this planner is perfect for you! Easily reproducible pages allow you to print weekly plans as needed. Everything you need to keep home, work, and school organized and running smoothly! 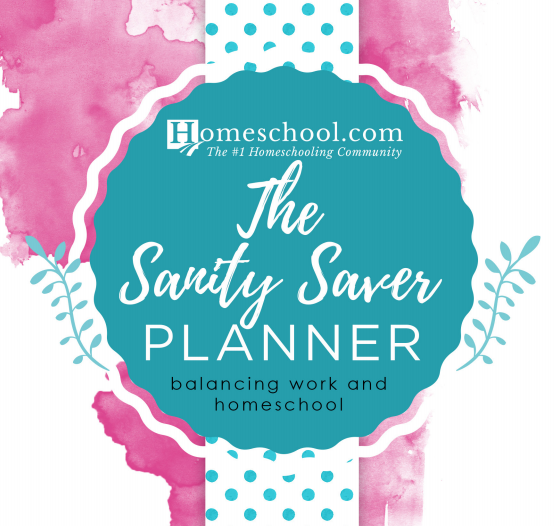 This online planner gives you everything you need to manage your home school and all your curriculum on one screen, including lesson plans, assignments, grading, attendance tracking, and automatic transcripts. Share calendars with your spouse, get daily reminder emails, manage to do lists, shopping lists, and more. Works on computers and mobile devices. A control panel for your life! 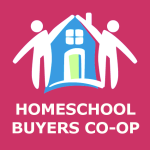 With over 167,000 families and growing, the Homeschool Buyers Co-op is the world’s largest buyers club for homeschoolers. Our mission is to find the world’s best curriculum and give our members the best deal anywhere for it. Join today — it’s FREE — to take advantage of our GroupBuy power and save up to 90% on award-winning curriculum and classes. Algebra 1, Geometry, Algebra 2/Trigonometry, Precalculus, Calculus – A good teacher communicates love of learning, deep understanding, and encouragement you can’t get from a textbook alone. Math is easier, not when watered down, but when well taught. 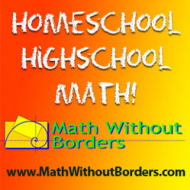 The Math Without Borders Home Study Companion series provides a complete high school math experience for homeschoolers by combining the very strongest existing textbooks with solid teaching by an experienced teacher. Read what our customers say. As your student becomes a more independent learner, you might find you want (or need) extra support in teaching Secondary Level Math. We are happy to offer Online Co-op Classes with qualified instructors. Our objective is to partner with you and your student in learning math. It is important to recognize that the online co-op class is a service provided for homeschooling families. The parent is the teacher of record and is responsible for the student’s final grade. Demme Digital Packs are an enhanced version of our Instruction Packs, available from any Internet browser. Each Digital Pack provides twelve months of access to streaming instruction videos and Instruction Manual PDFs, accessible through any internet browser, plus an online version of the Digital Manipulatives. Other free online and downloadable resources are included with each level, as appropriate. Note: Digital Packs do not include Student Workbook or Tests. Go Math! Academy is an at-home online learning program based on our trusted curriculum used by homeschools across the country. ScoreBeyond combines real-time student data with expert tutors to deliver personalized SAT & ACT tutoring. No matter what your SAT & ACT goals are, ScoreBeyond can help create a test prep program that’s right for you. Visit their website or call 1-800-294-2630 for a free consultation with one of their expert Test Advisors. REA is a leading publisher of test preps for AP, CLEP, SAT, ACT, and other popular standardized tests. Our test preps include strategies and online tools to help you study smarter and score higher. Online classes for homeschool students in grades 6-12. Free to Wisconsin residents; affordable out of state rates. Challenging core and elective classes including AP and Honors level. Personalized instruction from certified teachers. Flexible schedule. Self-study science courses tailored for homeschool high school students. 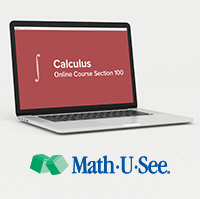 Hosted by a team of accomplished college textbook authors, each course features hundreds of engaging video lessons, quizzes, homework, home projects, hands-on activities, worksheets, collaborative exams, a grade book, and more. 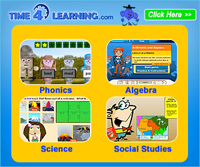 Time4Learning’s online PreK – 12th Grade Curriculum includes thousands of student-paced (multimedia) lessons, printable worksheets, and graded activities for Language Arts, Math (including Algebra), Science & Social Studies, as well as high school electives. Time4Learning provides adjustable grade levels and student-paced learning to accommodate the individual child’s needs. Lesson plans and detailed reporting make record keeping simple. All for $19.95/month. 100% satisfaction guarantee within 14 days. No Contracts. View Demos here. Affordable digital learning for the 21st century student. Grades K-12 packages start at $49! Curriculum available by the course, by the month or by the year. 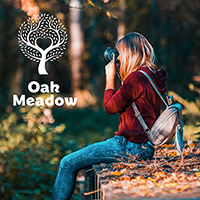 Oak Meadow offers flexible, creative homeschooling curriculum for K-12, or enrollment in our teacher-supported, fully accredited distance learning school. K-4 is experiential, playful, nature-based; 5-8 encourages independence, intellectual engagement; high school offers challenging courses, options to earn credit, college counseling. You can start anytime during the year! Laurel Springs is an accredited homeschooling program offering online courses that are delivered via our learning management system (LMS) and use interactive electronic textbooks. Students who select our online curriculum enjoy the full benefits of our LMS, which include: student-to-student interaction, and access to multimedia resources within courses. The Keystone School is an accredited distance learning program for students in grades K12 who are seeking a flexible and self-paced option for taking a single course or enrolling in a diploma-granting, full-time program. K12’s award-winning online courses for grades Pre-K to 12 provide homeschooling families a wide array of flexible choices to meet their students’ needs, including early-learning programs, world languages, independent study courses for grades K–8, teacher-supported high school courses, online and hands-on materials, and affordable payment plans. 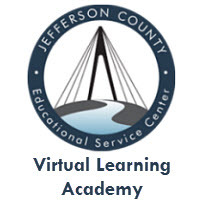 Jefferson County Educational Service Center/Virtual Learning Academy provides an extensive portfolio of web-based curriculum of over 100 courses spanning grades K-12, offered through a user-friendly Learning Management System that can be easily navigated by students of all ages and abilities. International Virtual Learning Academy is a fully accredited online school for Grades K-12. We offer affordable online education with highly qualified teachers. In fact, each class is supported by a teacher, each student supported by a mentor and many opportunities for social and engaging interactive support. Choose from a full diploma program or credit recovery, with programs ranging from Secular or Christian, Honors, AP, Career and Technical Education courses, ACT/SAT Prep or Rosetta Stone, and common core or non-common core. Families may choose curriculum – Plato, GradPoint, Apex Learning, Odysseyware, Ignitia, Accelerate Learning. NCAA Approved. Gifted & Talented program available. Your Choice of 8 Online Programs – Global Student Network – Enroll Anytime! Global Village School is a WASC accredited homeschool program serving K-12. Registered as a private school in the state of California, GVS enrolls students from around the globe; curriculum only is also available. Using a mix of online and physical resources, the courses are creative, progressive, flexible, and enlivening. Excel High School is an AdvancED SACS/NCA/NWAC accredited high school that offers flexible and affordable online courses that fit your schedule and pace. Students will benefit from an anytime, any pace learning style supported by State certified instructors. Online courses at Excel are interactive, fun and keep students engaged in the learning process. Calvert School provides your student with the tools and skills they need to succeed in today’s academic environment and tomorrow’s workplace. Visit our Web Site to virtually peruse textbooks through our online catalog! Personalized, flexible and accredited online academy offering both full time and individual course options for students in grades K–12. Engage with our rich, interactive curriculum facilitated by certified highly qualified teachers. Call 800-280-1170. Now your kids can have fun learning about Jesus wherever they happen to be! 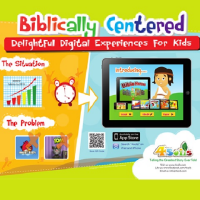 We engage children with their Faith through fun, interactive Bible apps. You can easily and safely use technology as part of your homeschooling curriculum. We make the Bible accessible and fun for the new generation (Pre-K & Kindergarten). Hand-pick the perfect combination of courses to match your student’s learning level while enjoying Monarch online curriculum’s automatic grading, media-rich lessons, and other powerful features. To start your free 30-day trial, visit DiscoverMonarch.com and enter promo code MON30HSC. Students dulled to your biblical curriculum? 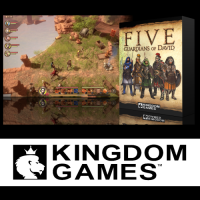 Auditory, Visual and Tactile learners excel with our award-winning immersive software for PCs and Macs (Kings, Prophets, Laws, Nations, and Events). The account of David and the formation of Israel spans much of the Old Testament, 1& 2 Samuel, 1& 2 Kings, 1& 2 Chronicles & Psalms. 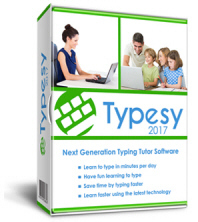 The complete package in a 30-hour, 11-Act game format with 11-quizzes built in to gauge mastery for ages 9 – 19. 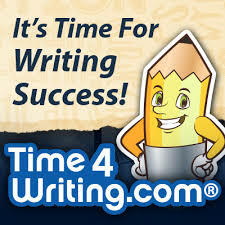 Time4Writing is an online writing curriculum for homeschoolers who want one-on-one support from a certified writing teacher without the expense or hassle of finding a tutor. Sign up for 8-week writing courses teaching everything from mechanics, to paragraph writing, to essay writing and more in elementary, middle, and high school levels. With Time4Writing, you can register and begin your course immediately on any computer, tablet, or other mobile device. Discover a treasure chest of resources used by teachers around the world to cultivate wisdom and virtue through writing. 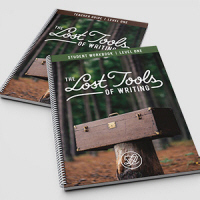 Here you will find tools to remove the guesswork, anxiety, and frustration felt by so many student writers. The Lost Tools of Writing, brought to you by the CiRCE Institute, equips you to teach with purposeful clarity, while equipping your students to write with well-earned confidence. 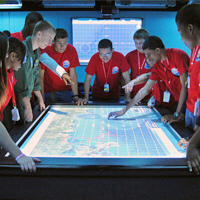 The National Flight Academy, located aboard Naval Air Station Pensacola in Pensacola, Florida, offers one of the most exciting and immersive educational environments in the world, inspiring students to take an interest in Science, Technology, Engineering and Mathematics (STEM) in an aviation-themed adventure aboard a simulated land-locked aircraft carrier. Students eat on mess decks, sleep in staterooms, plan missions, then fly them in networked flight simulators that ignite imagination and encourage learning.